3)Require 1x Ice Shard + 1x Brilliance Shard in your inventory bag. 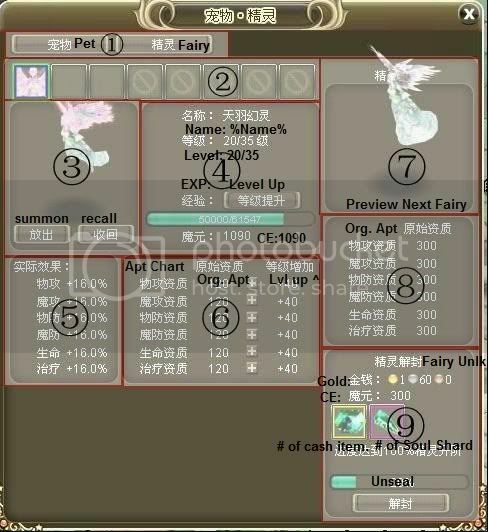 2)Fairy(Supportive ONLY), will increase you stats by %. 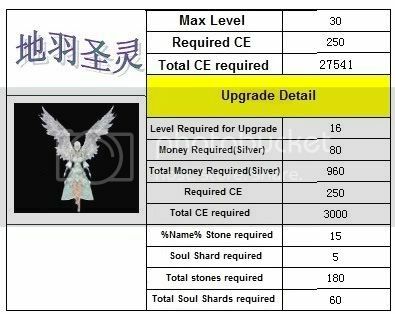 Upgrade’able with Soul Shard, Gold, EC, Cash Item. Details will be post below. 2)at least Level 80+ and have rebirth’d once before. Obtain Quest from “Goddess of Fate” at Tyria Village. Kill Plantona in Himeng Village. Turn in quest and you be rewarded a fairy. 1)Fairy is in the same window as Pet. just a different tab. 4) Name: %Name% (idk what they gonna call it so ima skip this), Level of current Fairy. 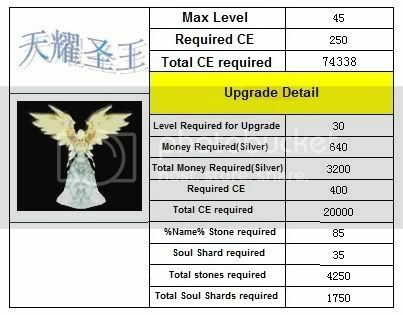 Exp, and CE required to upgrade to next level. Attack %, Def %, Hp %, Heal % increase. 6)Apt Chart of Current Fairy and increase per Level. 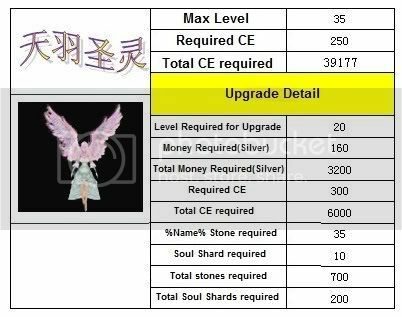 7)Preview next Fairy via Upgrade. 9)Gold,CE,Items needed for unseal/Upgrade into next Fairy. 7th one, which is the last one only needs soul shards and Crystal Essence for upgrade.